Here is a popular and tasty dish! The following recipe is for 5-7 people. 3 1/2 Lbs. of Pork Meat (Shoulder Blade) or you can use riblets. 2. 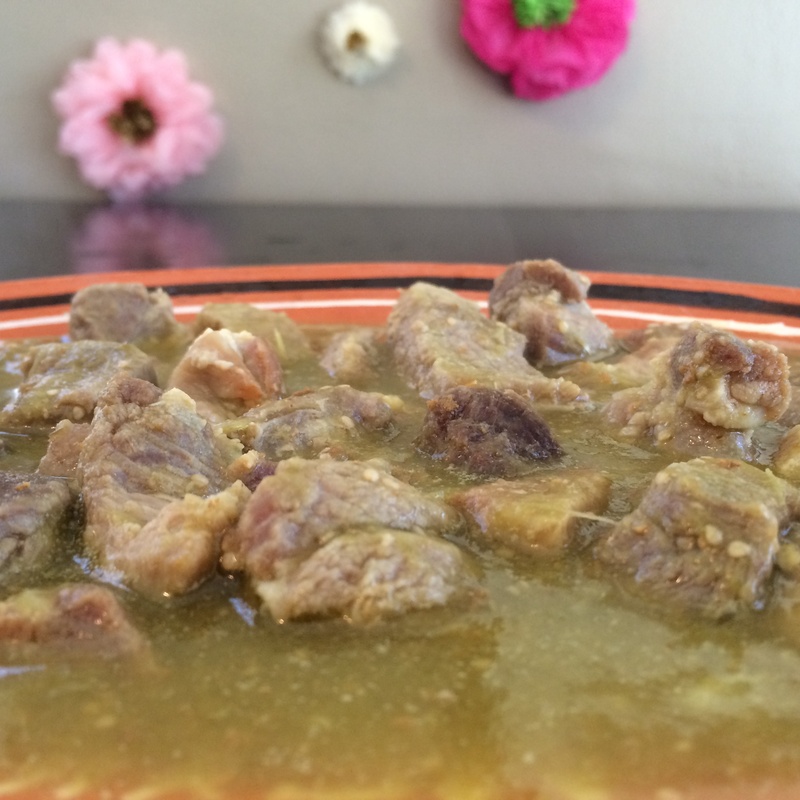 Chop pork meat into 2″ chunks cutting the fat off and wash it. 3. In a pot, cook pork meat in enough water to cover the meat. 4. Add salt to meat (personal preference). 5. Once the water dries up, add some lard or cooking oil to brown the meat to personal preference. 6. In a blender add chile, tomatillo and garlic. 7. Add chile mix to the meat. 8. Add enough water to have some broth. 9. Allow meat and chile mix to boil for 5-10 minutes. Last year on a lazy Saturday afternoon in April, I got on Facebook to scroll through my usual updates. 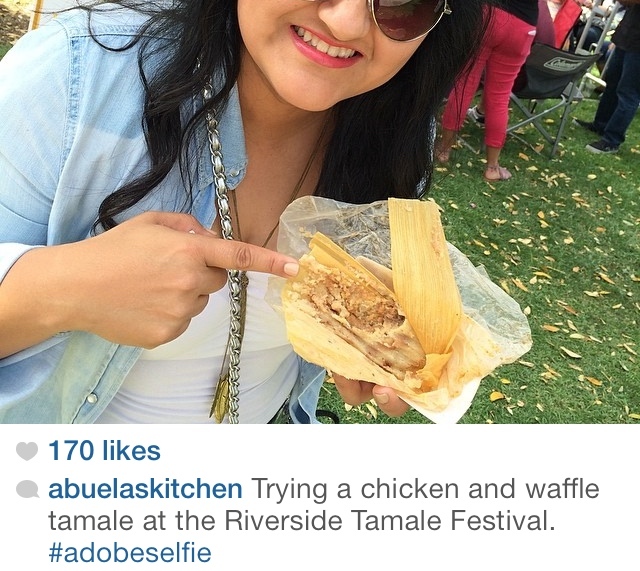 I noticed a friend had posted something about a Tamales Festival in Riverside, CA. It was too close to home to miss. Immediately my eyebrow went up and I jumped in the shower and quickly got ready with out even bothering to comb my hair because there was only a couple hours left before it was over. I grabbed my camera and jumped in the car. Not really knowing what to expect I started recording what I saw. My eyes were full of color. Greenery, trees, Mexican Inspired art stands, fruit stands– and there in the midst of all that, was this Tamales stand with the name Mestico Afro-Latin Cuisine, that read, “CHICKEN AND WAFFLE TAMALES”. My eyes opened so wide, I thought my life could end right there in that moment. I snapped out of it and knew I had to try it. I purchased one and my taste buds were satisfied with the well known sweet and salty bled you find in most Mexican candy. I moved on to the next tamales vender and again was satisfied . I was in heaven! Tamales everywhere!!! I even witnessed the tamales eating contest wishing I was one of the contenders to indulge in such awesomeness! I left that day happy with people I met and food I tasted. I even put out a Video Blog of what I saw. I remember specifically saying I would like to be involved some how next time. Wouldn’t you know, the lovely people from The Riverside Tamales Festival saw my video and this year we will be part of the festival. Abuela and I will be having a Meet and Greet from 3-5:30 pm AND… Ready for this? I will be a tamales judge!!!! Can’t get any better than this!!! So if you are interested in participating click on the link below to see how. Unbeknownst to me, there was a far greater purpose for the tamales festival. The founders of the tamale festival are actually trying to save the Trujillo Adobe House located on Orange Street in Riverside, CA. Through the tamales festival, they are trying to share information on the Adobe House and raise funds for restorations. Why is this adobe house so important? Well, it’s part of history. It is the connection we have to the past of historical significance Hispanics have given to the community. On September 22, 1838, Juan Manuel Lorenzo Trujillo led an advance party over the Old Spanish Trail from New Mexico to California. Once they settled in California, Lorenzo created a community of Firsts: church, school, voting, irrigation canal, a mine, planting and farming among much more. Not much is left of that old town and that is why the adobe house must be preserved. 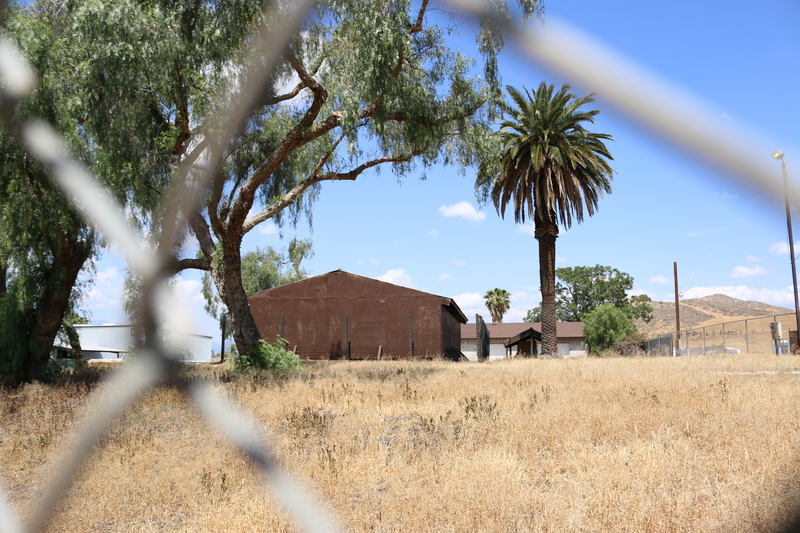 In the early 80’s, the adobe house was given to the County of Riverside by the descendants with the provision that the county would preserve the adobe and incorporate it into the County parks system. Not much has been done to keep up the Adobe House as you can see in the picture. It’s chained up and unnoticeable from the street. It is currently boarded and not being kept up. That is why Spanish Town Heritage Foundation needs your support in raising funds. So come out and join us Saturday, April 18, 2015 at the Riverside Tamale Festival from 11am-7pm. The entrance fee will only be $1.00. Can’t beat that! Don’t let our history die!